Walt Disney Pictures and Lucasfilm's upcoming Star Wars: The Force Awakens will set in motion a new trilogy of films that transpire in a galaxy far, far away, with their focus being on a new generation of heroes' battle for freedom in said distant galaxy. Hence, although such buddy duos as the droids C-3PO (Anthony Daniels) and R2-D2 (Kenny Baker) as well as the legend Han Solo (Harrison Ford) and his Wookiee co-pilot Chewbacca (Peter Mayhew) have made appearances, the majority of the Force Awakens promotional material unveiled so far has not focused on returning characters in the movie. That's all the more appropriate in the case of Force Awakens' antagonists, seeing as the primary villains in Star Wars films past are, well, all long dead by the time director J.J. Abrams' movie picks up (thirty years after Emperor Palpatine's death in Episode VI - Return of the Jedi). The classic agents of the Galactic Empire have since been replaced by the members of The First Order - villains highlighted in the latest batch of Force Awakens promo images, as it were. The First Order, as described by Abrams, is an organization that formed out of the remnants of the Galactic Empire; its leaders include General Hux (Domhnall Gleeson), along with a mysterious group of Dark Force-users that's known as the Knights of Ren: the order to which the red cross-guard lightsaber wielding Kylo Ren (Adam Driver) glimpsed through Force Awakens' trailer marketing belongs. These individuals all answer to a being who is known as Supreme Leader Snoke (Andy Serkis), though Snoke and any connection that he has (or does not have) to the Sith are being kept under-wraps, for the time being; the same goes for the chrome-armored stormtrooper commander, Captain Phasma (Gwendoline Christie), who's also been a key part of the film's marketing campaign to date. The latest Force Awakens images were picked up by Lestoilesheroiques (hat tip to CBM) - and as you can see below, they maintain the same air of secrecy around Abrams' film, by not revealing any details that haven't already been divulged in previously-released promotional material. That also goes for the pics we see here of young heroes Rey (Daisy Ridley), Finn (John Boyega), Poe Dameron (Oscar Isaac) and Poe's droid BB-8 - pictured here alongside his fellow droids in the movie (complete with C-3PO and his new red arm). 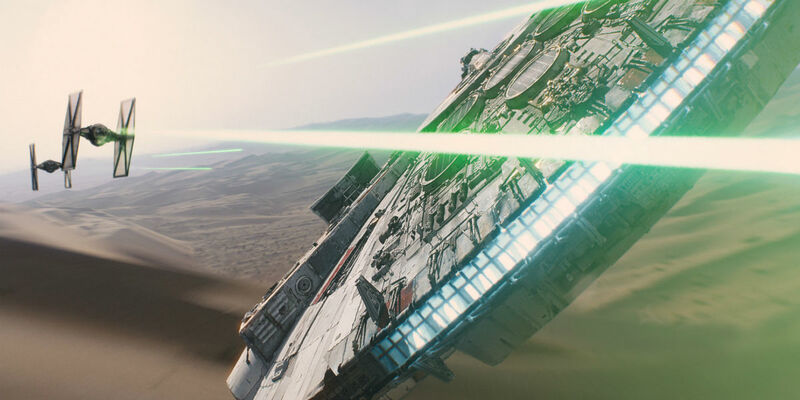 The focus here on the same Force Awakens characters and scenarios as previous marketing material is no doubt about more than maintaining secrecy; by continually emphasizing imagery such as Kylo Ren and his lightsaber, as well as Rey racing around on her Jakku vehicle, it helps to begin establishing such images as iconography from the next generation of Star Wars entertainment. Nevertheless, avoiding spoilers will become increasingly difficult as Force Awakens' theatrical premiere date moves closer and closer; already, things like tie-in Halloween costumes and official Star Wars website databases have revealed trinkets of information that (for some) offers more insight than they want to know - ahead of sitting down to finally watch Abrams' movie for themselves.